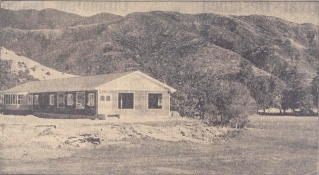 Wainuiomata Golf Club dates back to the 1920’s. 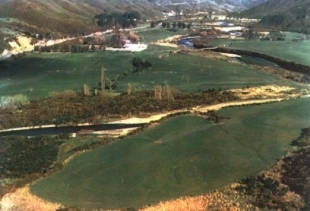 Originally a nine-hole course, it was located in what is now the Glen Road/Tawhai Street area in Stokes Valley. The course was developed by a substantial landowner, a Mr S D Thomson. 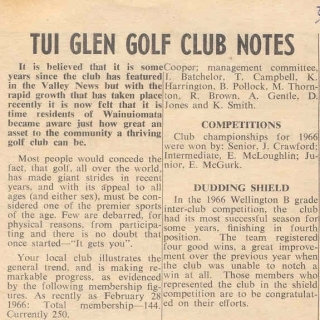 In 1935 a Club was formed known as the Tui Glen Golf Club. The Club continued until 1949 when the land was required for housing purposes to satisfy the post-war building boom. 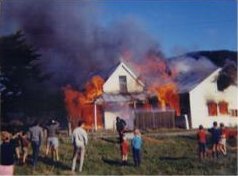 A few stalwarts of the then committee found a tract of land at the upper end of Fitzherbert Road in Wainuiomata, leased it, hurriedly cut out nine greens and commenced playing. In the early days the course was very rough and swampy. The Club struggled through the next ten years with a membership ranging from 30 to 100 members. Conditions were fairly rugged and it was not unusual for members to arrive for a game and have to mow the greens first. Gradually, as Wainuiomata grew, so did membership. By 1964, membership had increased substantially. 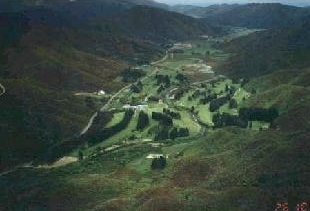 In 1967 it was decided to change the name to Wainuiomata Golf Club Incorporated. 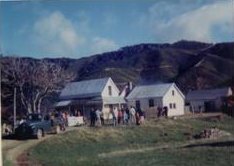 At this time it was obvious that new land had to be bought or leased and after considerable searching, land was found on Coast Road, Wainuiomata. About 1000 acres of land known as Riskend Farm was purchased for $44,000.00. Work started that year. By July 1969 much of the land clearing was complete and greens for the first nine holes and the foundations of the new clubhouse were laid. With the lease on the old course due to expire in early 1970, a very enthusiastic membership was involved in working-bees to convert the farm to a golf course. The first full-time greenkeeper, the late Mr Bob Goss, was employed to maintain the old course in Fitzherbert Road, with the emphasis, however, on development work on the farm for the new course. 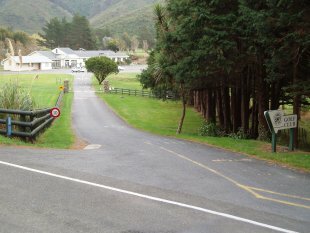 The idea of purchasing the former recreation hall from the Wellington motorway construction was mooted as an ideal building for a Clubhouse. Mr Harrie Keene (Patron of the Wainuiomata Golf Club) investigated it’s potential and whether it could be shifted. 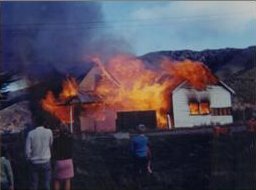 To make room for the “new” Clubhouse, the local Fire Brigade burned the old farmhouse to the ground. Under the guidance of Harrie and with 80 plus volunteers, the building was shifted to its new foundations in 1969. 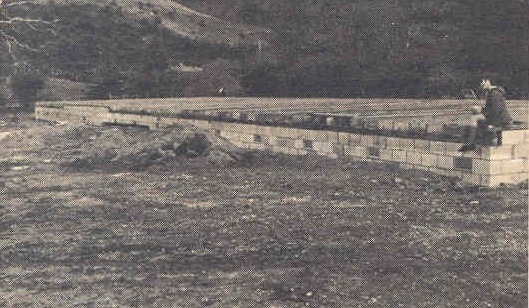 In 1985, the strip of land between Coast Road and the boundary fence was purchased from the original vendor for $50,000.00. The original owner, with the expectation that the land would be subdivided for residential housing had retained this piece of land. This land was leased for horse grazing until 1994 when it was planted with hundreds of eucalypti and Tasmanian blackwood seedlings in anticipation of a cash crop in 10 to 15 years. It is interesting to note the sum paid for this small parcel of land compared to the original price paid for the initial 1,000 acres. Currently the Club owns the 140 acres of flat land, including the riverbed bisecting the course, as well as the land up to the top of the western hills. 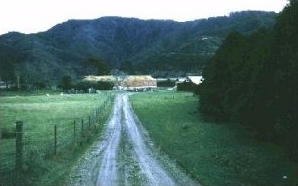 Left: top of driveway in 1969 showing the then "new" Clubhouse under construction and to the right the "old woolshed / new greens-shed" which was situated where the present chipping green is. 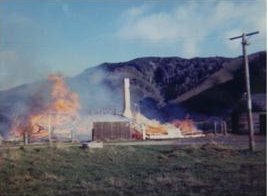 A new greens shed was built in 1974 to the left of the Clubhouse in the left photo and the "woolshed" demolished.